It’s that time of year again. Diets are added to the resolutions list and then you realise that the house is crammed with goodies that you just cannot throw away. I WILL learn the guitar and the other 15 hobbies that have caught my attention over the festive period. Ok, now lets get serious, lets make some gaming plans for the new year and see if we can actually stick to them? 2016 the year of getting gaming done! Resolution No. 1 – Run TITANSGRAVE adventure for my gaming group. Complete and all the way through. No petering out after 3 sessions . . .
Fantasy AGE basic came out last year and the systems looks great. Add to that the fantastic TITANSGRAVE series put up by Greek and Sundry and it went to the top of the must play list. I’m a little worried about the lack of content for the Fantasy AGE system so TITANSGRAVE is a great setting to get our teeth into and learn the system. Resolution No. 2 – Paint the miniatures in Hero Quest. 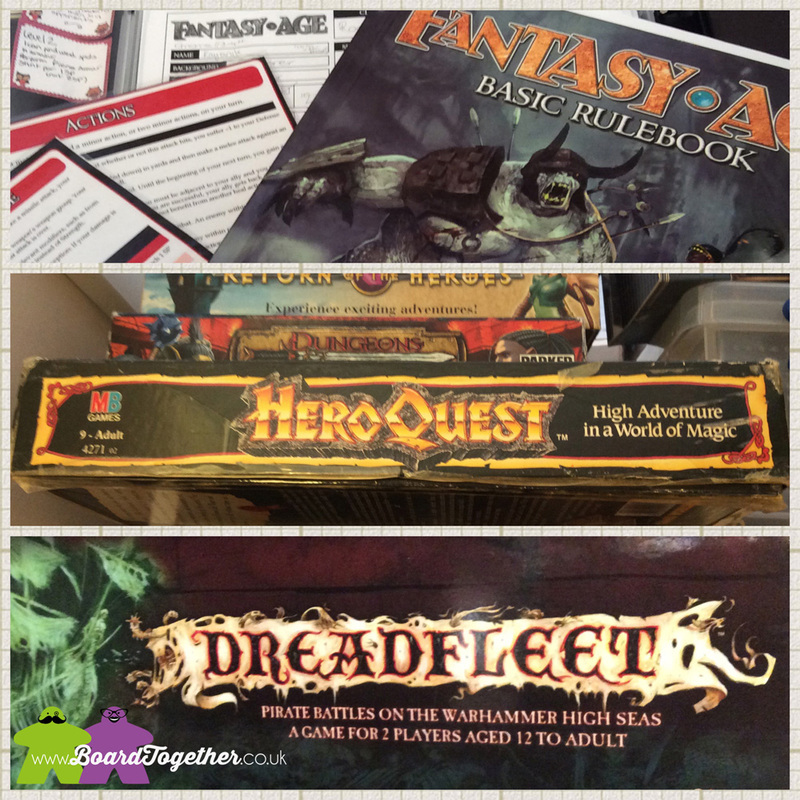 Oh Hero Quest how I love thee… One of my most loved games and now the time has come to show it the love it deserves. Wife wants to play this ship battle game and who am I to say no? Also it will stop the comments about never finishing it . . . Resolution No. 4 – get another RPG system to the table. I love role-play systems, but this often leads to a lot of them not being played. This year I want to get another RPG system to the table. The short list is as follows: FFG’s Star Wars RPG, Dead lands Reloaded or the fantastic looking 13th AGE. PS. Any recommendations on any of the above systems would be helpful. To play his awesome collection by completing the Devonald Gaming Cup each month. Seriously, it is an awesome collection and most of the boxes just gather dust. I also hope we can find games we don’t really like and make space for new ones! I first heard about this whilst in Orcs Nest, London. We overheard a conversation about how it was a good game for younger gamers. Mike said he had also heard great things about it and thought I would like it. I purchased the game a while later and it then sat on our shelf for a really long time. It looked complicated and I have never painted models before. However, it popped up on Tabletop and looked really easy to play. Then Mike showed me some painting videos on YouTube and I painted the Spider. I now feel confidant to actually paint and play this game. 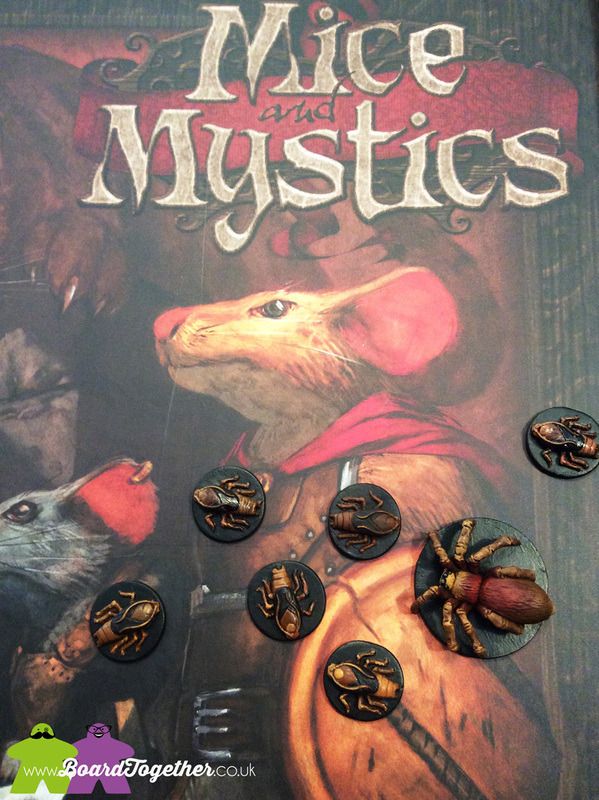 I also think it is a special game that will benefit from a few extras like cheese models, not just bits of cardboard. 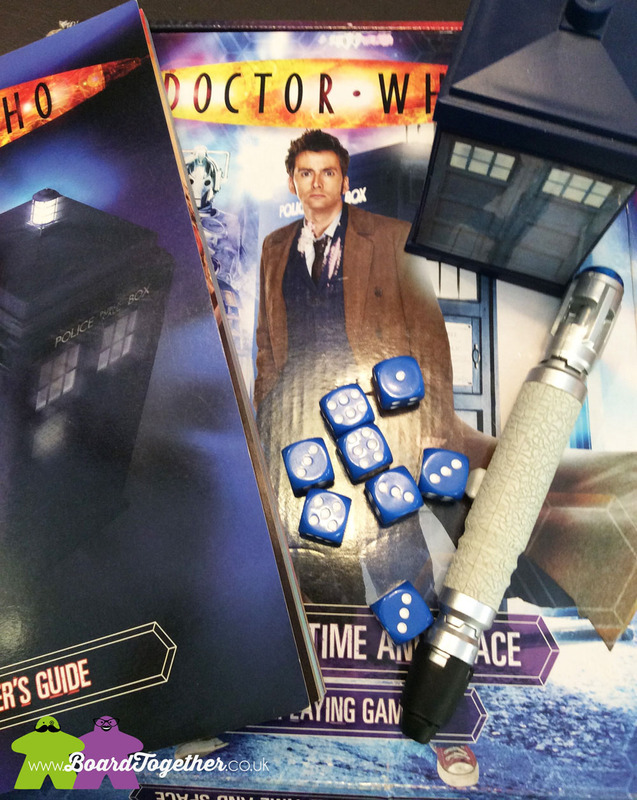 I want to play this awesome looking system and seeing as I have the David Tennant version (Tamz’ fave Doctor), its about time we got it to the table and Tamz had a go at being the DM. We’ve gone to the UK Games Expo for quite a few years now and we’ve only ever played one or two games. This year we would like to try a few heavier games and get some quality time on the demo tables. So, will we do all this? Looks like fun, seems like a lot, better get cracking . . .
Do you have any new year gaming resolutions? Let us know below, maybe we can help each other when this all seems too much! 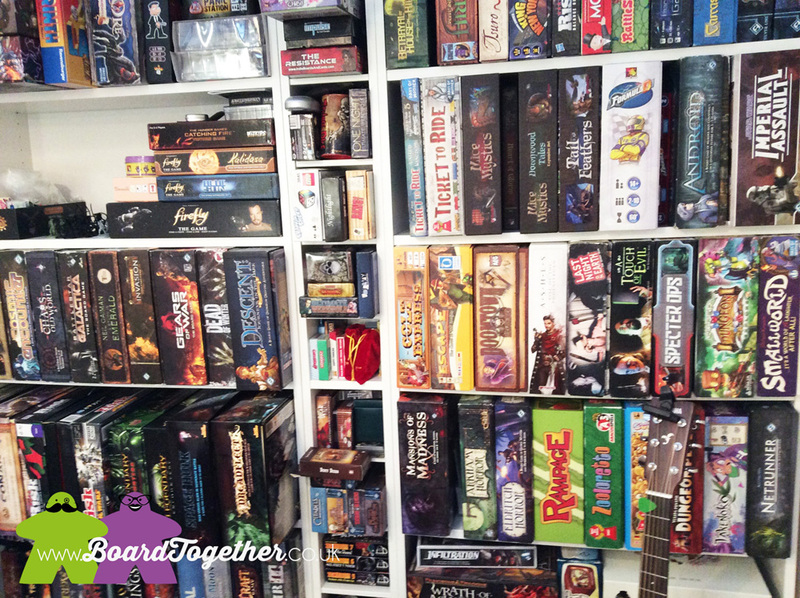 Happy New Year from us at Board Together, here’s to playing lots of games with friends this year.